Success! Khin from Burma raised $1,500 to fund heart surgery. 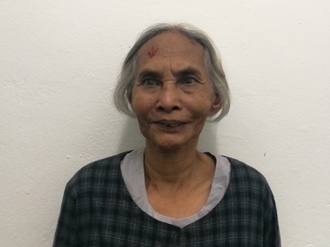 Khin's treatment was fully funded on April 21, 2018. Since her surgery, Khin looks more healthy and active. She is no longer constantly tired and dizzy. She is now able to walk long distances. “I still want to become a teacher and teach students from grades four to eight,” said Khin. Khin is a 17-year-old student from Burma. She lives with her mother and step-father in Mandalay Division in Burma. Her mother works as laundrywoman for her neighbors, and her step-father works as daily laborer in construction sites. Khin was born with the help of traditional birth attendant. When she was one year old, she was constantly tired and inactive. Khin’s mother was worried for her and took her to a hospital in Burma. The doctor diagnosed her with a congenital heart defect called Tetralogy of Fallot (TOF). In 2017, Khin’s symptoms became much more severe. She has difficulty breathing and cannot walk long distances. Fortunately, Khin learned about our medical partner, Burma Children Medical Fund (BCMF). At BCMF’s care center, surgeons can perform a heart surgery to treat the defect. Treatment is scheduled for March 16, and Khin needs help raising $1,500 to pay for this procedure. Khin's case was submitted by Than Than Oo at Burma Children Medical Fund in Burma. Khin was submitted by Than Than Oo at Burma Children Medical Fund, our medical partner in Burma. Khin's profile was published to start raising funds. Khin received treatment at Maharaj Nakorn Chiang Mai Hospital. Medical partners often provide care to patients accepted by Watsi before those patients are fully funded, operating under the guarantee that the cost of care will be paid for by donors. Khin's treatment was successful. Read the update. 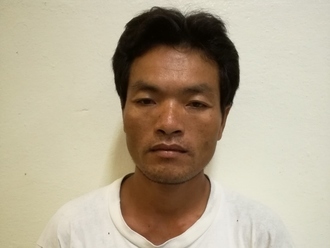 Khin's treatment was fully funded.